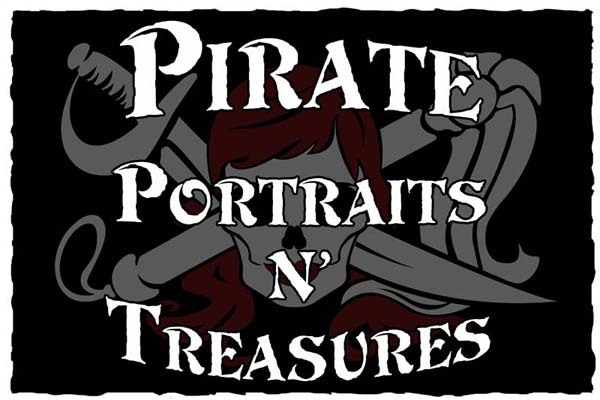 Above is a carved, 2.5-D HDU sign for the "Pirate Portraits and Treasures" store. This sign has raised text, border, and artwork consisting of skull and crossed swords carved at four different levels of elevation. The sign has been painted with long-lasting automotive-grade enamels and clear-coated twice, making it suitable for either indoor or outdoor use. It can be hung from a wrought iron scroll bracket or an overhead beam from its eyehooks, or mounted on a wall or in a store window.